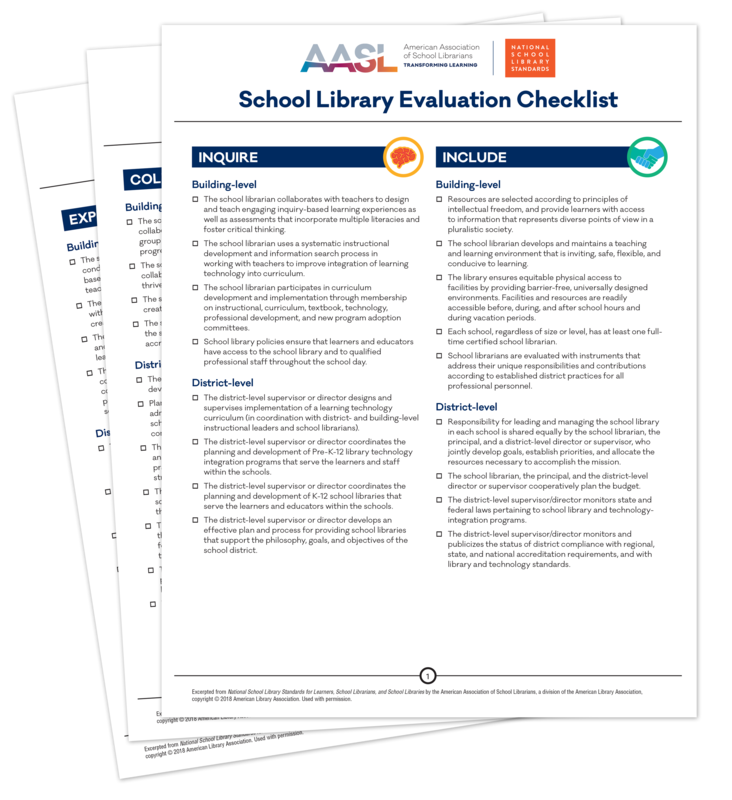 Use this School Library Evaluation Checklist to determine the areas where your school library is already strong and where you can begin to set goals for improvement year after year. Checklist elements are segmented to help school librarians, administrators, and district supervisors easily see the shared responsibilities of all stakeholders at the school, district, and state level. The School Library Evaluation Checklist is most effective when completed by the school librarian working with others in the school library community. Consider inviting a small group of stakeholders including administrators, classroom educators, parents, and, perhaps learners to provide their feedback on these checklist categories. More information and context to help school librarians in longitudinal planning is available through the National School Library Standards for Learners, School Librarians, and School Libraries. Meet your collaborators where they are with AASL’s series of crosswalks between the National School Library Standards and other sets of national teaching and learning standards.